Model S1. 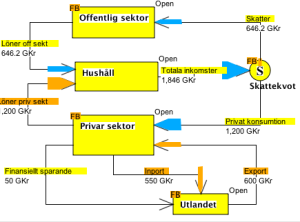 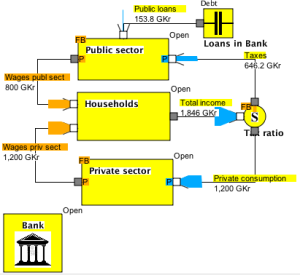 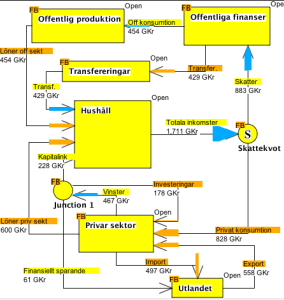 Closed system with public sector, households and private sector. 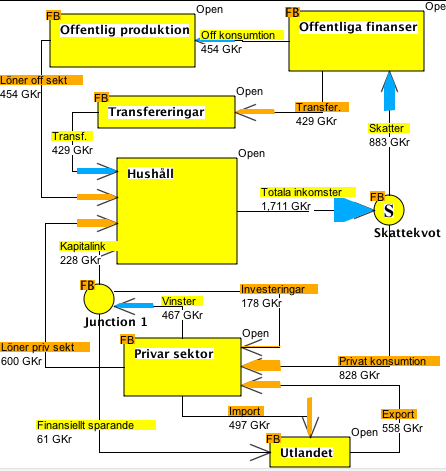 Model B1 The model is the same as Model S1 with a bank added.